(CNN) - Among toddlers, spending a lot of time staring at screens is linked with poorer performance on developmental screening tests later in childhood, according to a new study. "On average, the children in our study were viewing screens two to three hours per day. This means that the majority of the children in our sample are exceeding the pediatric guidelines of no more than one hour of high-quality programming per day," said Sheri Madigan, an assistant professor and research chair in determinants of child development at the University of Calgary, who was first author of the study. "Higher screen time viewing at 2 and 3 years of age was associated with children's delays in meeting developmental milestones at 3 and 5 years of age, respectively," she said. "This study shows that, when used in excess, screen time can have consequences for children's development. Parents can think of screens like they do giving junk food to their kids: In small doses, it's OK, but in excess, it has consequences." For each child in the study, the mother completed questionnaires related to the child's performance on developmental tests at ages 24, 36 and 60 months. Mothers also reported the range of time their children spent using screen devices on a typical weekday and weekend day. "To our knowledge, the present study is the first to provide evidence of a directional association between screen time and poor performance on development screening tests among very young children," the researchers wrote. "Our study identifies a correlation between two things, and this does not mean that one causes the other," Madigan said. The new study provides insight into how technology impacts individual young people over time, "but increases in screen time observed here indicate between about 0.36% 0.64% of the variability in decreases in the developmental outcome. 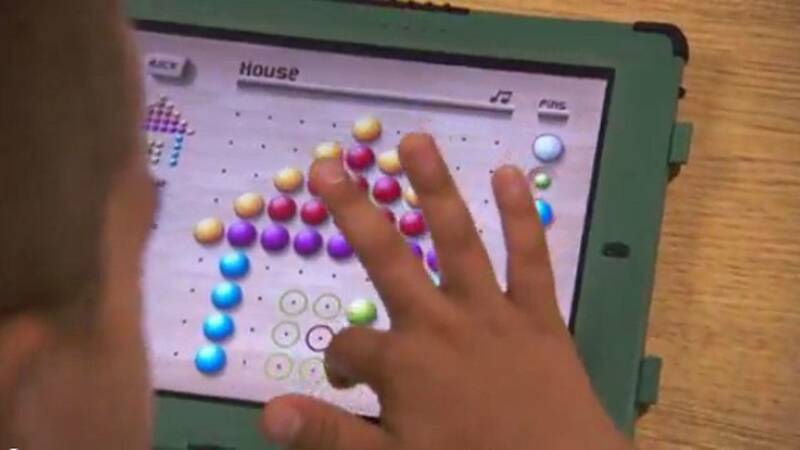 This means that upwards of 99% of the children's developmental trajectories studied here have nothing to do with screens," Andrew Przybylski, an associate professor and director of research at the University of Oxford's Oxford Internet Institute, said a written statement released by the independent Science Media Centre on Monday. "The conclusions drawn are overly strong for the method used," said Przybylski, who was not involved in the study. "Much of this study is well conducted, which is good in a research field where many studies are poorly done but there are huge limitations to be aware of in terms of the practical implications of the work," he said, adding that it is premature to advise that "limiting screen time alone will improve developmental outcomes for children in any meaningful way." "It is notable that screen time reduced both children's sleep even at this early age and reduced parents' reading to children, which we know is a strong predictor of positive child outcomes, such as higher IQ," said Gentile, who called the new study "strong" and "well-conducted." The American Academy of Pediatrics offers guidelines to help families with the management of children's screen time. Those guidelines include avoiding digital media for toddlers younger than 18 to 24 months, except for video chatting. Overall, "the good news is that screen time is something parents can control," Gentile said. "In other studies, we've found that when parents put limits on the amount and content of children's screen media, it is a powerful protective factor for a wide range of children's health and wellness indicators."